The UK’s No.1 female duo.Tribute to Abba and the 70’s. 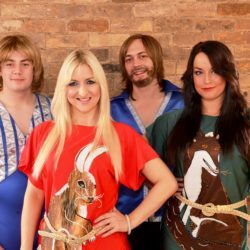 ‘ Abba Glamma ‘ have been entertaining audiences across the UK and abroad since 2003 with their energetic and authentic tribute show. 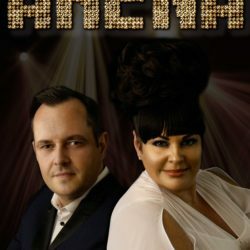 With two highly experienced vocal performers to front the duo, Louise Jaymes and Kelly Allen capture the whole essence of Abba and the 70’s. 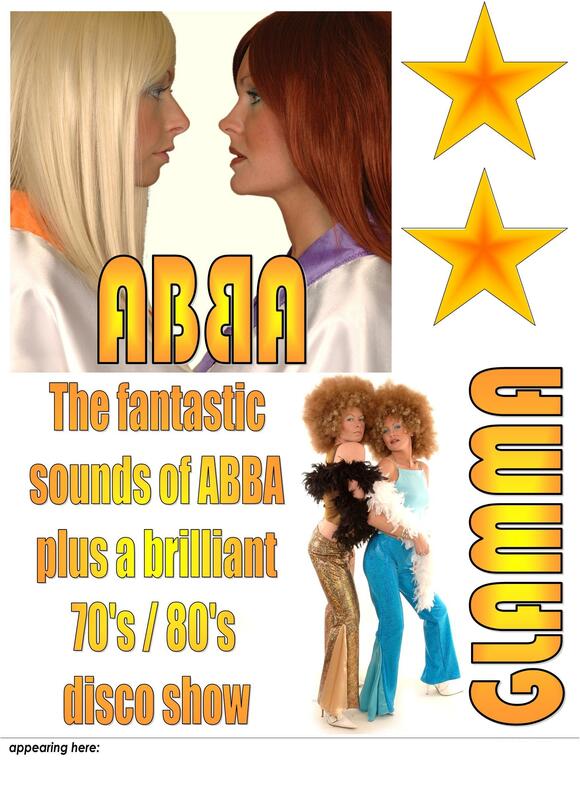 ” Abba Glamma’ have strived to recreate this sound and with their professional backing music and live precise vocals and harmonies that sound has been achieved. 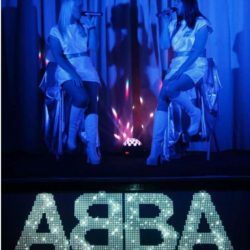 Put the vocals together with the energetic dance routines and stunning costumes, performing all of ‘Abba’s greatest hits, this show is a guarenteed floor filler at any event. 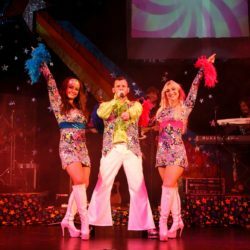 The 70’s show will take you back to that disco fever era, with all the great hits of the 70’s, the big hair and the sparkly flares this show is so much fun and if you are looking for more than just an ‘Abba’ tribute and more of a seventies theme night the two shows put together make a fantastic evenings entertainment. 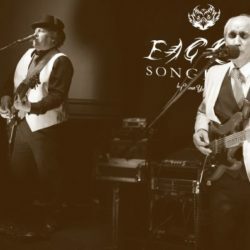 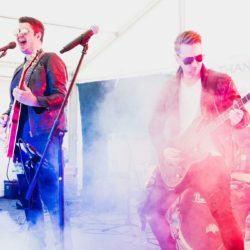 ‘Abba Glamma’ are available as a duo and also as a four piece band, the band includes two highly skilled musicians who also look and play the part in their authentic 70’s costumes. 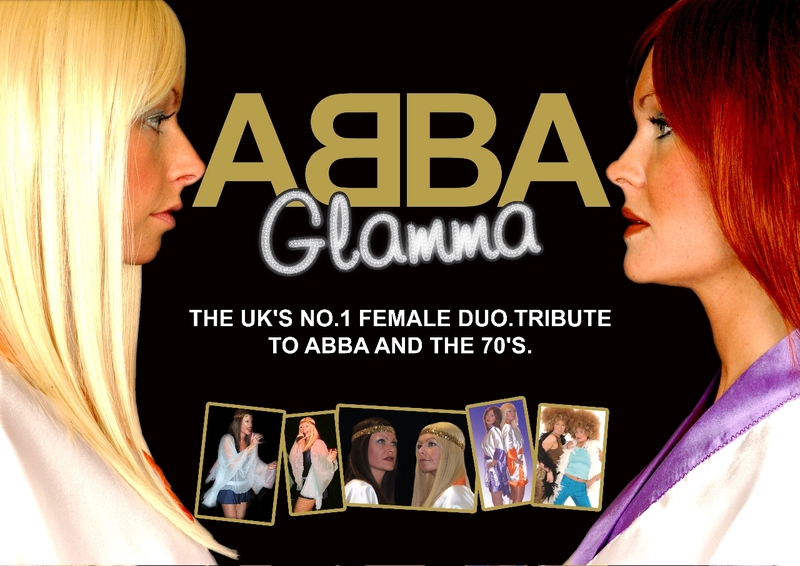 Be the first to review “Abba Glamma” Click here to cancel reply.